I wasn’t one of those kids who wanted a PBJ sandwich in my lunchbox every day — I was more of a bologna and Kraft cheese kind of gal. (Don’t judge, people change.) And yet, there is still something innately comforting to me about the combination of peanut butter and jelly. These cookies are my attempt to combine that sense of comfort and familiarity with a set of ingredients that better match my grown-up palate. It doesn’t take long to figure out I’m a little bit of an almond fanatic, so it was an easy leap for me to substitute almond butter in my cookie sandwiches. With apologies to George Washington Carver and the state of Georgia, I much prefer the sweet, cherry-like nuttiness of almonds to their legume counterparts. For the filling, I chose two options: triple berry conserve, and chocolate ganache. (For traditional ganache, try this recipe, or go a little more high-falutin’ with a creme fraiche ganache here.) 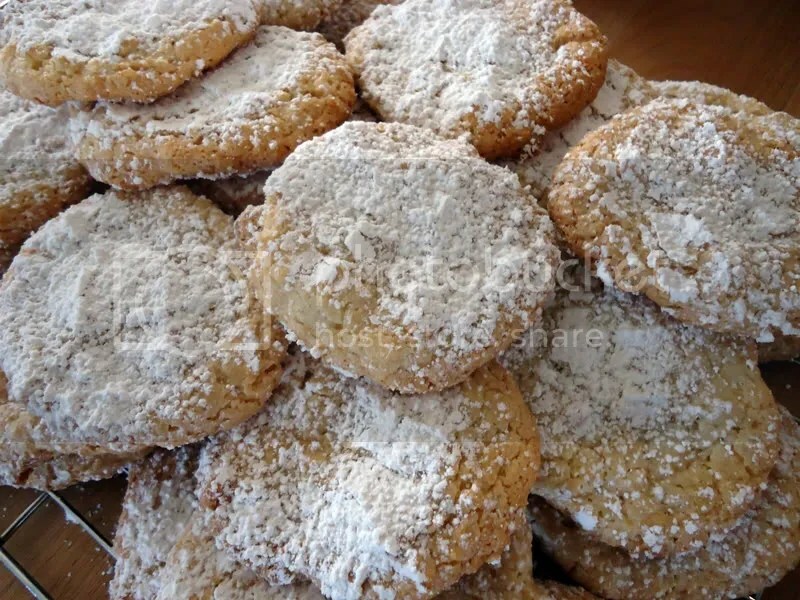 Both were great partners for the slightly savory notes of these tender shortbread rounds. I love these because they are special without being complicated, small without feeling too precious. And let’s face it: no one can resist a tiny little cookie sandwich. There will always be a place on my table for the kind of food that brings out the kid in all of us. Oven 325F. Line a baking sheet pan with parchment and set aside. Cream together butter, almond butter, demerara sugar, and salt with an electric mixer on medium-high until well-combined. Gradually beat in half the flour, then stir in the remaining flour by hand. 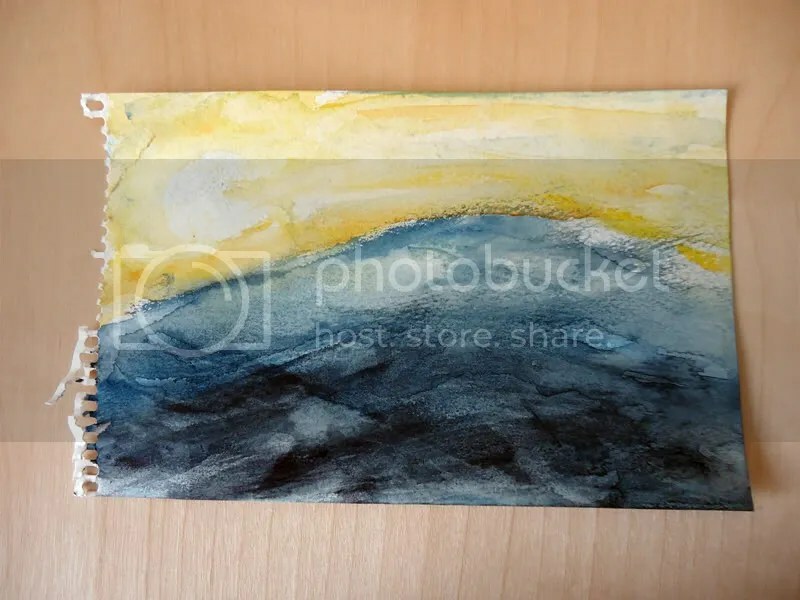 On a piece of waxed paper, pat the dough out into a 6″x8″ rectangle and cut into 48 equal pieces, about 1″-square each. Roll pieces into balls, and place two inches apart on the cookie sheet. Dip the flat bottom of a glass or measuring cup in granulated sugar, then press the balls to flatten them to about 1/4″ in thickness. Bake 12-14 minutes, until they are lightly brown and the centers are set. You will know they are done because they lose their shine. Remove from oven and allow to cool on baking sheet for five minutes, then remove to a rack to cool completely. Once cool, scoop about a teaspoon of filling on to a cookie, then sandwich with another. Do this like a good parent — gentle, but firm. Oven 325F. Blend the almond paste, sugar, and salt with electric mixer until well-mixed and crumbly. Add egg whites and almond extract and mix again until the dough is a smooth, sticky paste. Using two spoons, scoop the dough by heaped tablespoons on to lightly greased or parchment-lined baking sheets. Leave two inches between each, as cookies will spread quite a bit. 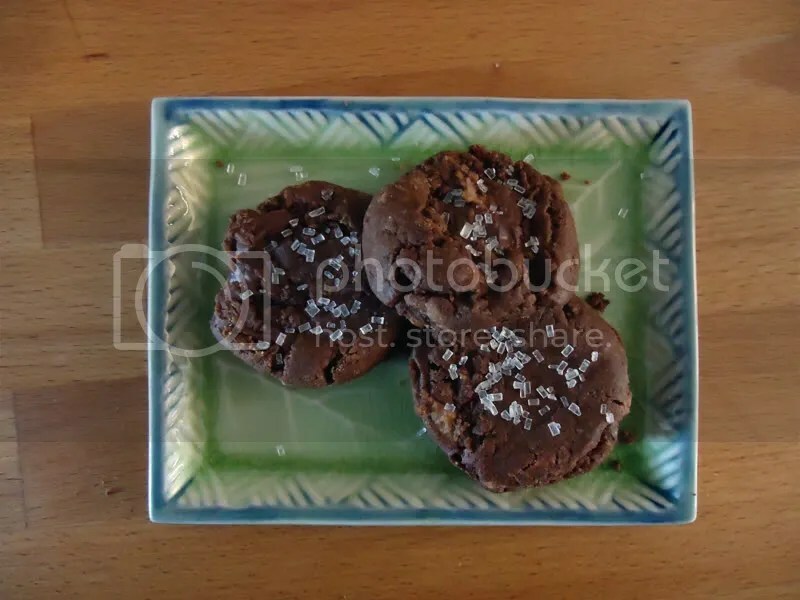 Many Americans associate macaroons with coconut, but the term macaroon (from the French macaron) refers to any cookie which uses ground nuts and egg white as binding agents instead of flour and whole eggs. 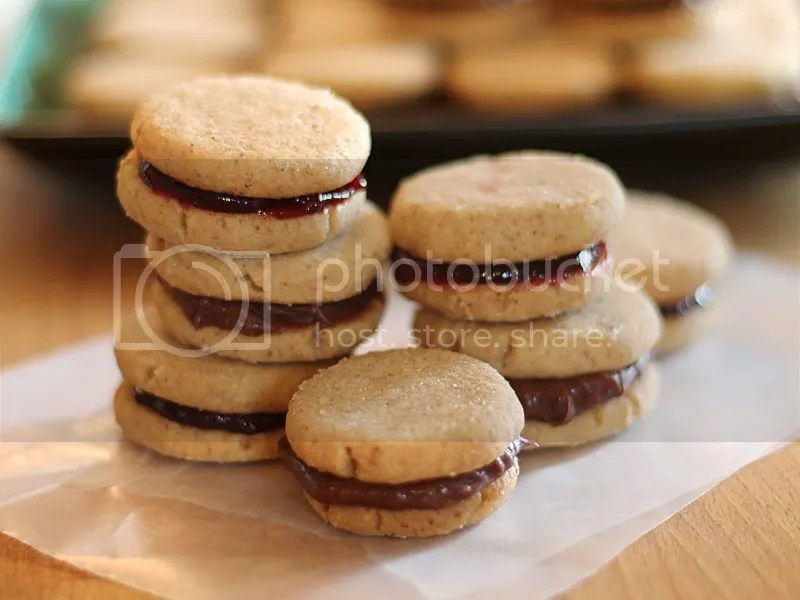 Although macaroons include ground nuts or sweetened nut pastes for the body of the cookie, flavors can range from berry to citrus, chocolate to coffee. 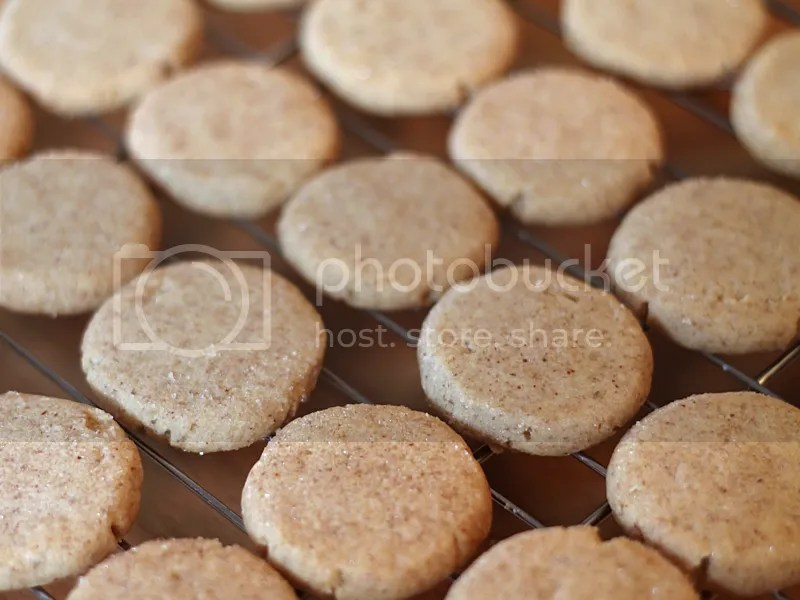 Macaroons are super simple to make and are a great gluten-free alternative. This recipe easily halves or doubles, and the cookies can be frozen, well-wrapped, for up to three months. 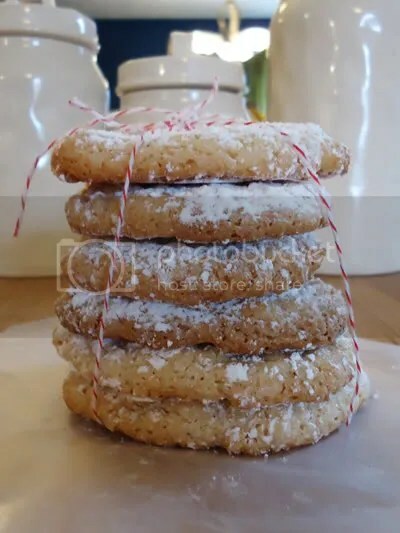 My thanks for recipe inspiration go to King Arthur Flour yet again, this time for their bakery’s Almond Bianchi cookies. Oven 375F. Beat softened butter, almond paste, and sugar in electric mixer until well-blended. Add egg and extracts and mix again until thoroughly combined. In separate medium mixing bowl, whisk together flour, baking powder, baking soda, and salt. Stir dry mixture into wet ingredients with rubber spatula until uniformly mixed. Dough will be crumbly. Reserve 1 1/2 c. dough and use your hands to press the rest into the bottom of a 9″x13″ buttered glass baking dish. Warm jam in microwave one minute and then spread over cookie base. 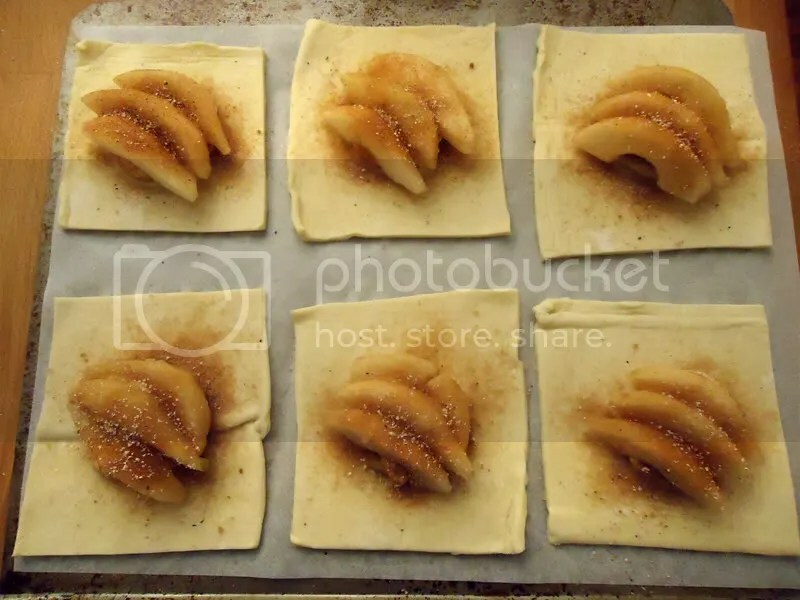 Pat the reserved dough into rounds approximately 1/2″ thick and 3″ across, then place on top of jam. (There will be spaces between the dough rounds where the jam shows through.) Sprinkle top evenly with sliced almonds, then coarse sugar, and bake 26-28 minutes until top is lightly browned. Cool completely before cutting into 32 squares. 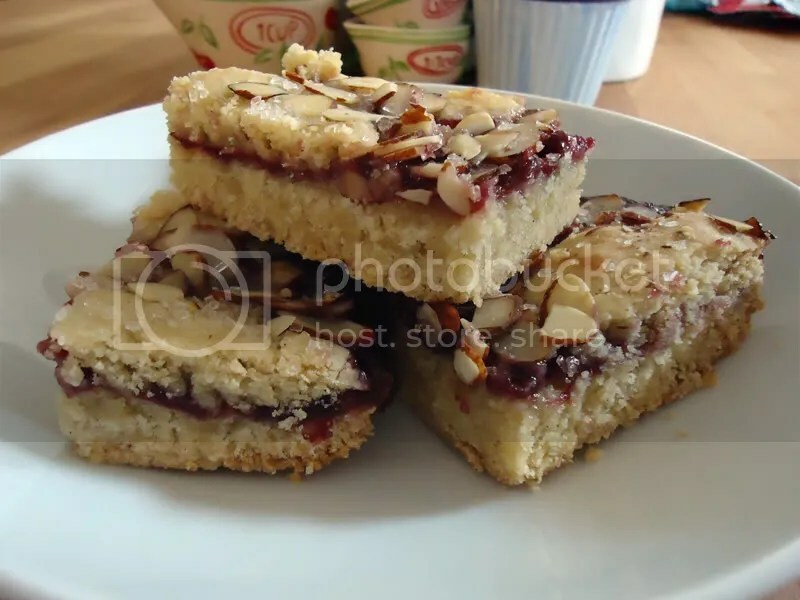 Almond paste is a blend of ground almonds and sugar syrup, usually about 45% almonds. You can make your own, but for this recipe, packaged almond paste is perfectly fine. I find all the large grocery stores in our area stock almond paste in the baking aisle, but you can also buy it on-line. 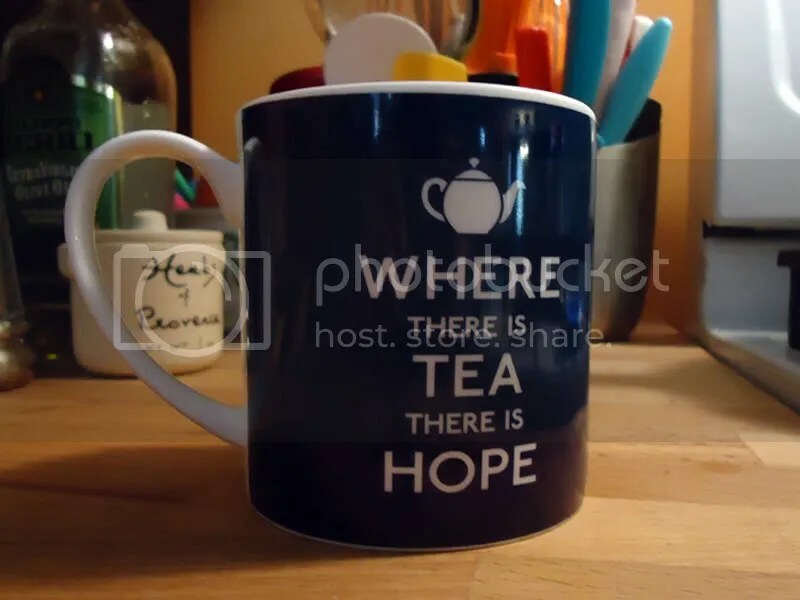 I buy it in bulk on Amazon.com, but dozens of other sites sell it. I was six years old when my love affair with butterscotch began. 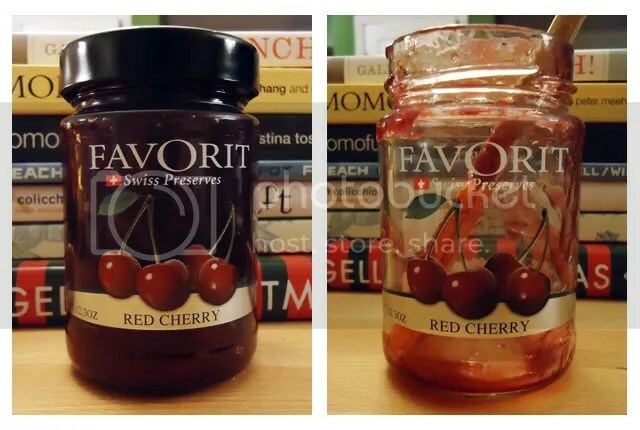 My grandmother always had a stash of mixed hard candy in the bottom of her purse, and whenever she took me bowling, she would let me dig through her big burgundy handbag in search of cellophane-wrapped goodies. I didn’t mind the occasional peppermint because they reminded me of Christmas, and I insisted on trying to eat the red-hot cinnamon discs, even though they burned my tongue. But the real objects of my affection were little butterscotch rounds, salty and sweet, wrapped in gold and equally treasured. Fast-forward thirty years, and these sundaes are my ode to butterscotch in all its gooey, buttery glory. 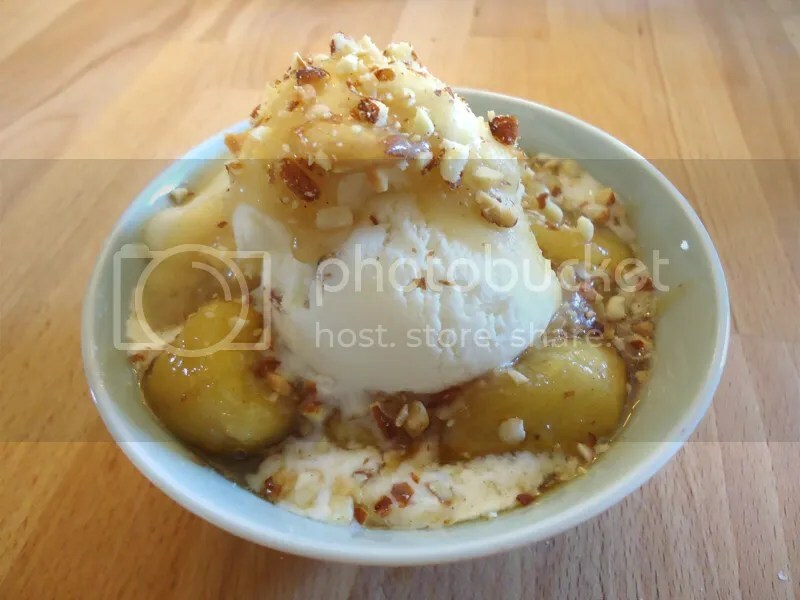 The star of the show is homemade butterscotch sauce, spooned over the ice cream and used to make a shortcut version of Bananas Foster to put on top. A handful of crushed salted almonds is all it needs to be positively swoon-worthy. Heat the butter, golden syrup, and water in a medium saucepan over medium heat, stirring until the butter melts completely. Stir in both kinds of sugar and the salt and bring mixture to a boil. Cook until the sauce reaches 245F and turns pale brown, about 7-8 minutes. Remove from heat and carefully stir in heavy cream until completely incorporated. Add vanilla and lemon juice and stir again, then pour into a glass jar and allow to cool. This keeps at room temperature for several days, or it can be stored in the refrigerator for up to two months; simply reheat in microwave before using. 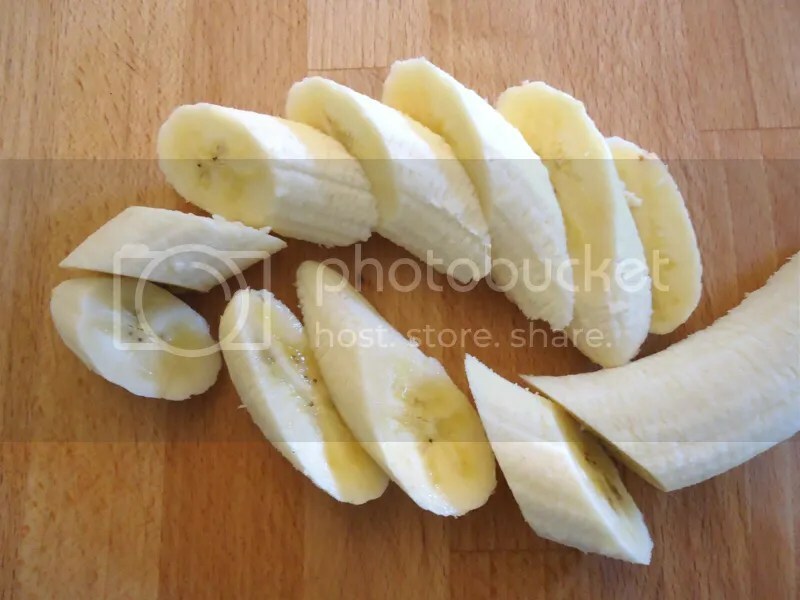 Cut bananas into 1/2″-thick chunks. (I like to slice mine on the bias because I’m fancy like that. ;) In a small sauté pan, stir together 1/4 c. butterscotch sauce, cinnamon, salt, and lemon juice. Heat over medium-low until sauce begins to thin, then add sliced bananas. Cook, stirring occasionally, until bananas soften and start to look blurry around the edges, 2-3 minutes. Remover from heat and set aside until bananas are warm but not hot, so it doesn’t make a complete puddle of your ice cream. When ready to serve, scoop 1/2 cup of ice cream into each of four small bowls. Spoon one tablespoon plain butterscotch sauce over the top of each serving, then top each sundae with 1/4 of the cooked butterscotch bananas and the warm sauce from the pan. Sprinkle 1/2 tablespoon of almonds over each serving, add a spoon, and enjoy. It has been a whirlwind of activity around here, as multiple birthdays coincided with an extended visit from dear friends. Absorbing a family of six into your household can make for a wee bit of chaos, but it also makes for a whole lot of fun. A few minutes after they left, I found myself at a loss: standing in a suddenly empty kitchen, unsettled by the vacuum of quiet and stillness where so many people were talking and moving just minutes before. The kitchen was the right place to be at that moment, really. It is where I feel most centered and fluent, the place where I seem to instinctively know what to do. In the wake of all that activity, I was in the mood to bake something tasty and simple. A bowl full of ripe red plums beckoned, and rolled oats and almond paste from the pantry supplied substance and richness. I love the textures of this dessert: warm, syrupy plums and melted heaps of smooth, nutty almond paste, topped by the toasted crunch of oat crumble. 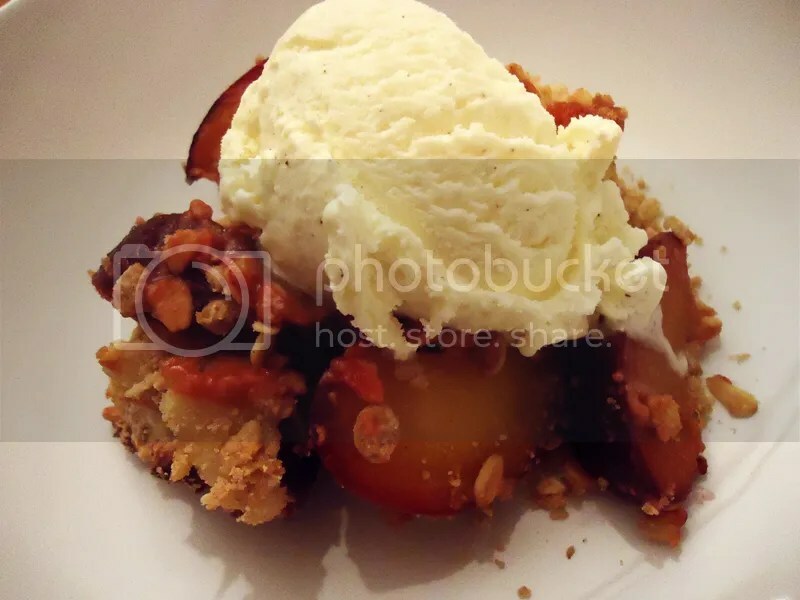 A scoop of vanilla ice cream is virtually required for a fruit crumble fresh from the oven, although you could substitute lightly sweetened whipped cream or a drizzle of creme fraiche. 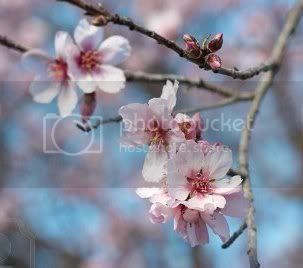 Apricots or peaches would also work in place of the plums, or even a mix of stone fruit and berries. Just think sweet and tangy, ripe and seasonal. No matter the filling, this dish is warm and comforting, just right for a still April afternoon. Oven 400F. Place plums in a medium-size, buttered glass/ceramic baking dish. Sprinkle with cinnamon sugar, nutmeg, and salt, then drizzle with lemon juice. Pinch almond paste into hazelnut-size knobs and scatter across the top of the plums. In a small mixing bowl, toss flour, oats, sugar, salt, cinnamon, and butter until well-combined and crumbly. Spoon evenly over the top of the fruit and bake for 30 minutes, until topping is golden brown and fruit filling is bubbly and tender. Serve hot, with something cold and creamy. After so many granola misfires, I finally narrowed down my requirements. I don’t expect my granola to be a portable superfood, substantial enough to nourish me on a three-day hike. I don’t want a multi-tasker — I’m not planning to add it to anything except milk and yogurt. No flax, no wheat germ, no goji berries, no exotic spices. I want something simple, crunchy, toasted, a little sweet, a little salty… just granola. I think I finally found my recipe this time. It’s from Brunch! by Gale Gand and Christie Matheson. To show you how serious I am, I resisted most of my usual recipe-fiddling ways. I only made two substitutions: dried cherries instead of dried cranberries and clementine juice instead of plain orange. I resolutely kept the door of the spice cabinet closed, and I even measured out my ingredients instead of eyeballing it. My self-restraint was amply rewarded with every simple, tasty bite. I don’t judge, though. If you are of the fancy granola ilk, more power to you. This recipe could easily handle the addition of cinnamon, ginger, or cardamom, and you could substitute banana chips or raisins for the dried berries. If you crave more texture, try some sesame seeds or sunflower kernels with your chopped almonds. After it cools, add a big handful of chocolate or peanut butter chips, and you’ve got something a little more indulgent that would be a great topping for fruit crisp or ice cream. 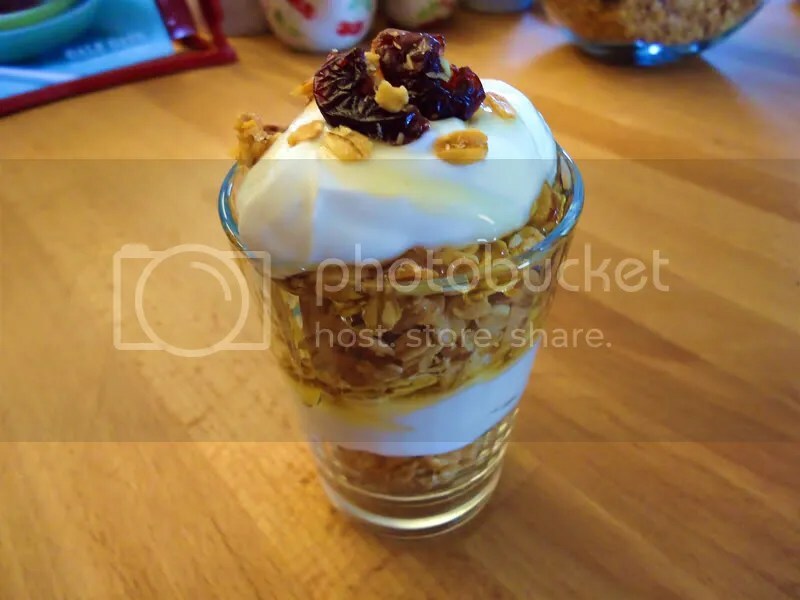 To show you how accepting I am, I got a little extravagant with the photos and made a parfait with layers of granola, vanilla Greek yogurt, and orange blossom honey. But between you and me, I gave that one to my daughter to eat. I’ll take mine plain — just granola, please. Oven 325F. Combine honey, maple syrup, orange juice, butter, and almond extract in a saucepan and heat over medium heat until butter melts and ingredients come to a boil. Immediately reduce heat and simmer for about five minutes, stirring often, until mixture is slightly thickened. Meanwhile, mix oats, coconut, almonds, and salt in a large mixing bowl. Pour the hot honey mixture over the oats and stir well to coat thoroughly, then spread evenly on a parchment-lined, rimmed baking sheet. Bake for 15 minutes, stirring once. Add dried fruit, stir to combine, then bake for 20 minutes more, stirring a few more times to be sure granola browns evenly. Remove from oven and let cool completely. 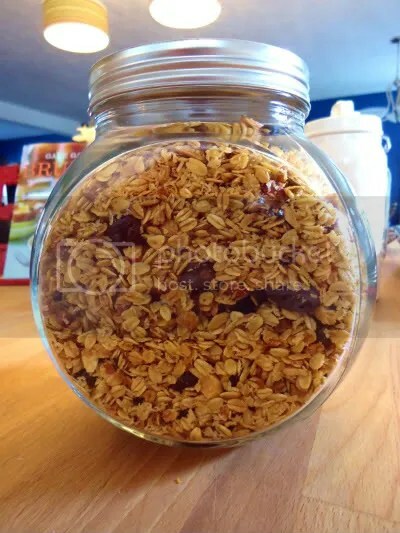 Break into smaller pieces and store in airtight container for up to two weeks. Can also be frozen for up to a month. Is anyone else having one of those days? Actually, I think I’m having one of those weeks, the “when it rains it pours” kind that make me want to yell in frustration or stomp my feet, quite possibly both at the same time. For my family and those dearest to us, there have been more challenges than usual lately — many of them the wail-prompting, tear-stirring variety. These are not training-wheels sorts of days, these are all about wobbling and swerving while we try to keep our balance. I spend a lot of time on this blog talking about things like yummy cheesecake brownies and delicate origami flowers, caramels from scratch and handmade valentines, and I really love making all of it. Creating keeps me aware and joyful, and it nourishes my body and mind. But I just want to be sure I am clear that these things are not born of a frivolous, unhurried life. My bookshelf holds dozens of beautiful art books, but right now I’m reading Boundaries with Teens; my calendar holds the promise of lunch with friends this weekend, but it also has appointments with the dentist and pediatric cardiologist. For me, cooking and crafting are ways of celebrating both the plenty and the drought and the lessons I learn from both. I made the watercolor sketch above because it says what my words cannot manage right now. The corner of it tore when I ripped it from my sketchbook, and I think that feels just right, too. No matter the frustration or obstacles today might bring, whether these hours feel overwhelmingly full or acutely empty, I am prayerfully hopeful for you and me. 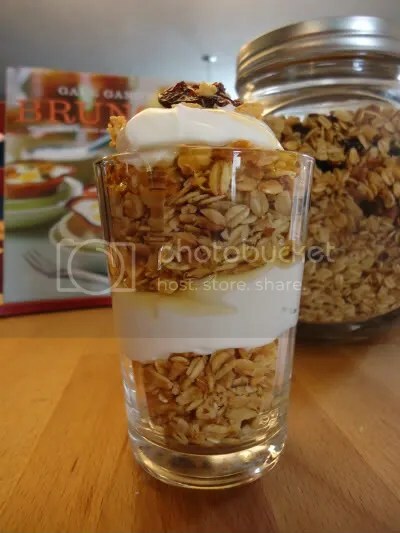 With that in mind, I have my next few posts planned about lovely things like almond granola parfaits and collages with cork and batik fabric. I am enjoying my time preparing them, and I am excited to share what I’m doing with you, even when times are not simple for either of us. I am a little bit obsessed with brunch lately. Brunch has a lot going for it, to my mind. As a confirmed night owl, I am all for breakfast at noon, and inviting people over for brunch feels so much more do-able than homemade waffles for a crowd at 8 AM. Brunch is casual enough to remove the pressure associated with such portentous words as “dinner party,” yet it is still event enough to merit a few new recipes. Oven 425F. Cut the puff pastry sheet into six squares of about equal size and arrange on parchment-lined baking sheet. Slice the marzipan into six equal portions, then shape each portion into a disc about 2″ wide and 1/2″ thick, and place one disc in the center of each pastry square. In a small mixing bowl, thoroughly whisk together cream cheese, sour cream, lemon juice, salt, and 3 tablespoons of the cinnamon sugar. Place a generous dollop on top of each marzipan round. 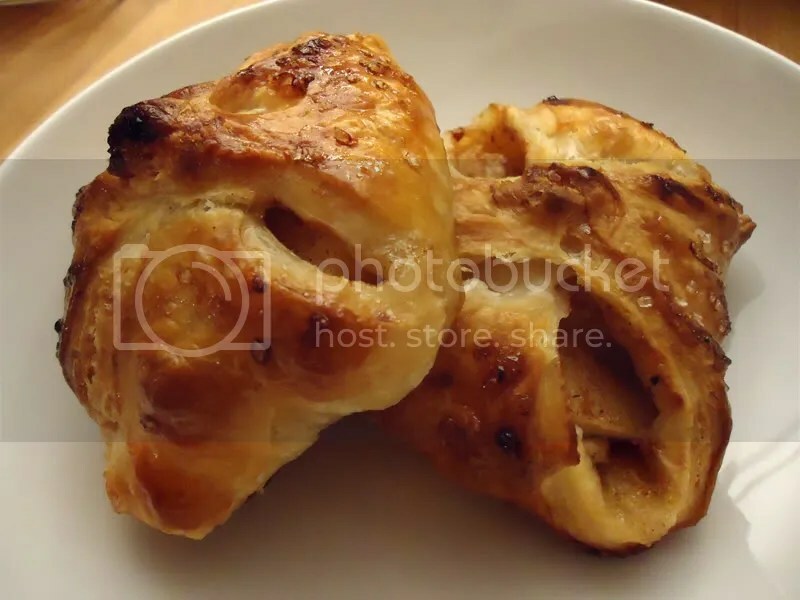 Top the cream on each pastry with three overlapping wedges of pear, then sprinkle the tops of the pears with the remaining 1 tablespoon of cinnamon sugar and a sprinkling of freshly grated nutmeg. 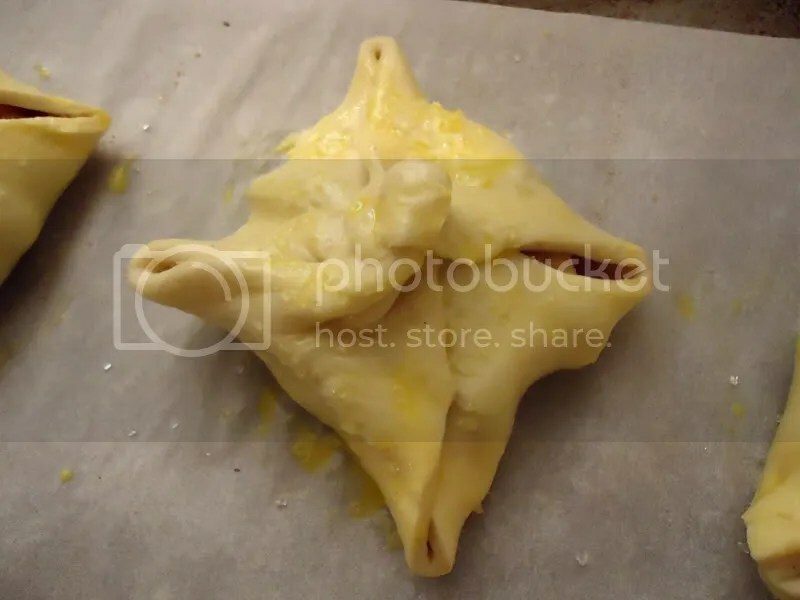 Carefully gather the four corners of each pastry together at the top and twist them together to form a little parcel with a pastry topknot in the center. (Be sure to press the corners together well enough that they won’t come apart during baking.) 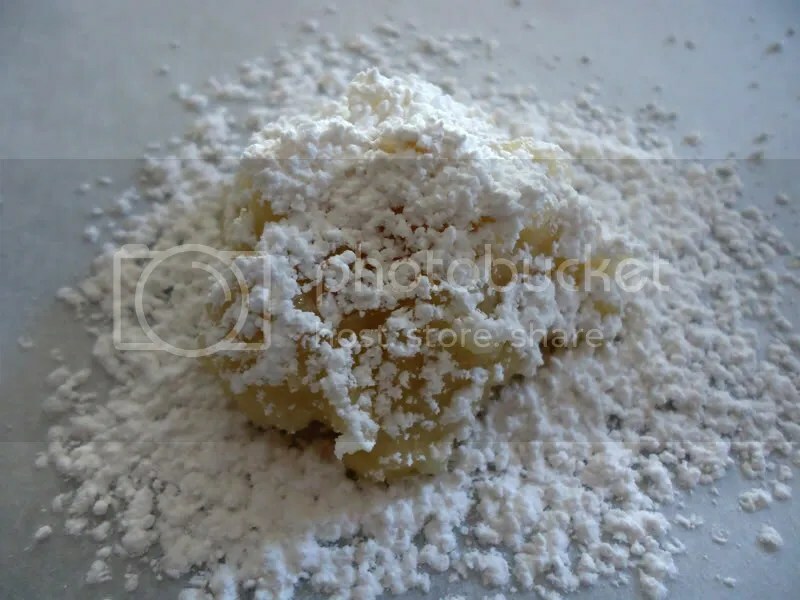 Beat the egg in a small bowl, then brush the tops of each pastry lightly with the egg wash. Sprinkle on coarse sugar if desired, then bake for 25-30 minutes, until pastries are puffed and golden. Transfer immediately to cooling rack and allow to cool before eating. It’s been a rough week around here. With a bad case of viral ick making the rounds, we’re all in cocooning mode, cuddled on the couch with fuzzy blankets, our highly sympathetic pups, and our favorite Miyazaki films. When I’m achy in body or spirit, I seek the comfort of routine and closeness; spending time with the things I know and the people I love soothes me like nothing else. It strikes me that the ways we find solace and rest are often more individualized than the pain and grief we experience; what helps us heal depends so much on our memories, gifts, and values. The ultimate stress relief for one person may be cringe-inducing for the next. For instance: open-air camping, or read in the recliner? A long, hot bath or a long, early-morning run? Order restaurant take-out, or cook it all from scratch? Period romance drama, or campy 1950s sci-fi? (I know which I would pick.) I love that we share so much of the human experience in our need for comfort, yet we are still so singular in the ways we are consoled. So in this season of scratchy throats, grumbly tummies, and traffic jams, here are three top-ten lists of my family’s favorite comforts. These are the things that speak to me of contentment, reassurance, and calm, and I wish you all three this winter. If you feel like commenting, I would love to hear about what comforts you too. Hey, you got peanut butter in my chocolate! Hey, you got chocolate in my peanut butter! Preheat oven to 375F. In a medium-size bowl, whisk together flour, cocoa, baking soda, and salt; set aside. In another medium-sized mixing bowl, beat together butter, peanut butter, and sugars. Beat in vanilla, egg, and water until thoroughly mixed, then stir in dry ingredients. Once well-combined, stir in chopped peanut butter cups. 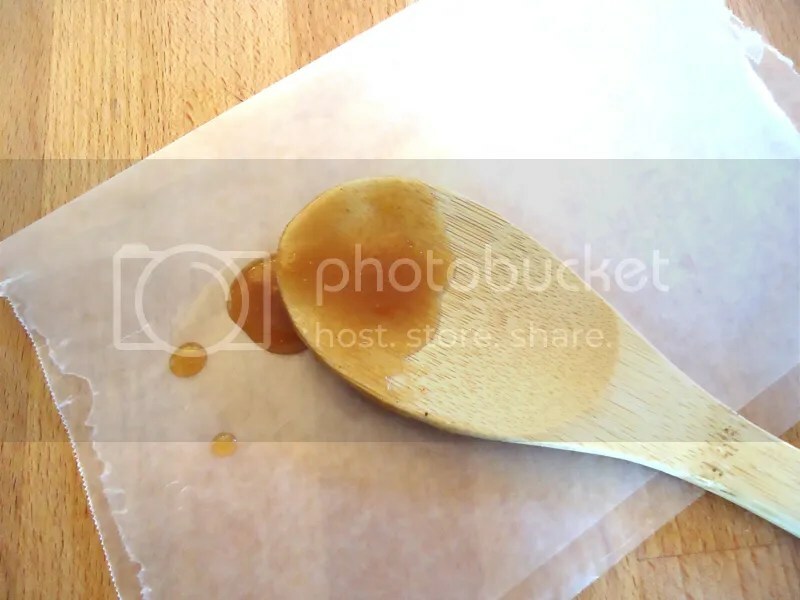 Scoop by rounded tablespoonfuls onto lightly greased or parchment paper-lined cookie sheet. 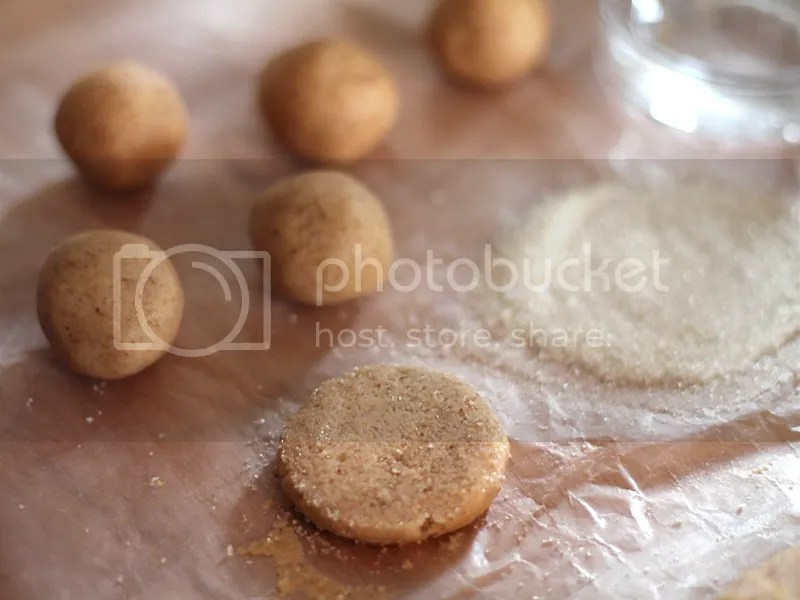 Lightly press down tops of cookies with the back of a fork until flattened to about 1/2″ thick, and then sprinkle with coarse sugar if desired. Bake 7-9 minutes, until dough is set and your kitchen smells like chocolate. 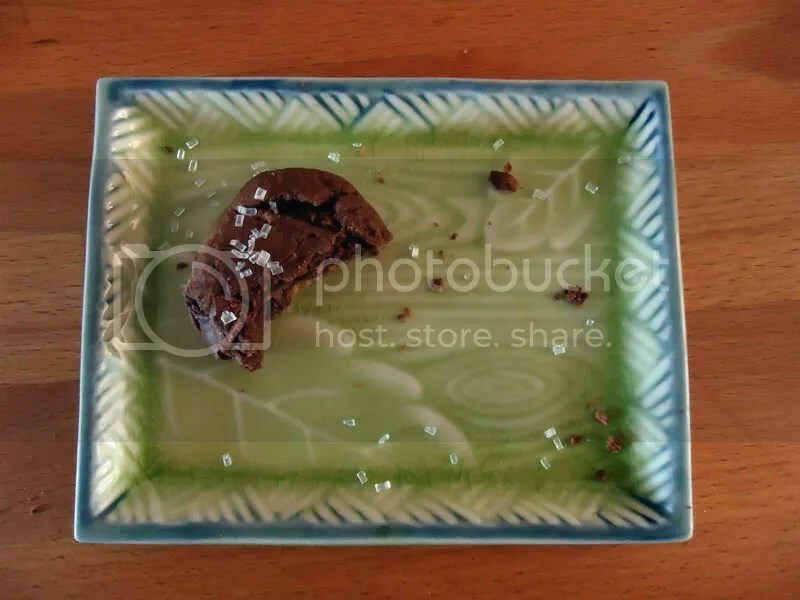 Cool on wire rack, but not completely — you have to try these while the peanut butter cups are still melted. This recipe is my version of one from the King Arthur Flour web site. The original called for mini peanut butter cups, available here. They’re super cute but not all-natural, so not an option for me. If you try them out, let me know how it goes.